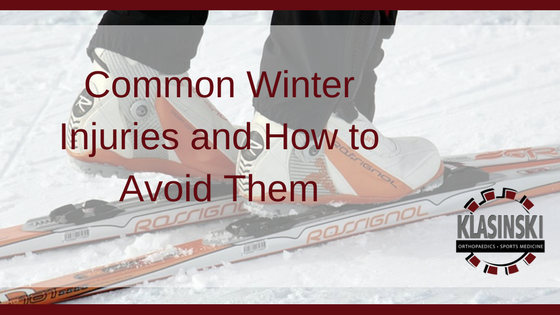 If you’re ready to hit the slopes or tie up those skates, know that winter is not without its sports-related dangers. Trips to the ER can be avoided with knowledge of common winter sports safety. Many ski and snowboarding injuries are all about how you land. Avoid knee and shoulder injuries by being ready to tuck and roll instead of letting your joints and bones take the impact. Move your legs together and tuck to avoid twisting your legs and causing knee injuries. Try to avoid landing on your palms, as this leads to wrist sprains. Another important tip is to have your bindings and children’s bindings checked by a ski mechanic, following American Society for Testing and Materials standards. Pick the right sledding hill! Sledding can be relatively safe provided there aren’t obstacles in your path or you don’t get airborne. Pick a hill without trees or rocks, and make sure there is enough room at the bottom for the sleds to slow to a stop. And no, a mound from a snow plow on this side of a busy street does not count. 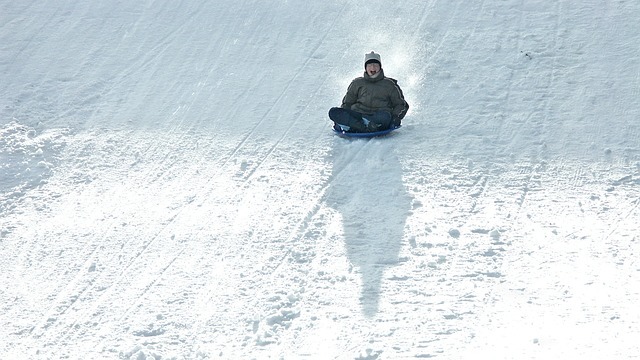 Don’t sled head first; go down in a seated position instead. Last, children should wear helmets when sledding, and always bundle up. It’s tough to give up running altogether for months at a time. Running outside in the winter is much more precarious than in fair weather. Consider a pair of cross-training shoes instead of runners for better grip all around. Avoid those snow and ice-covered trails, where slipperiness makes you end up skating or gingerly walking instead of properly running. Instead, hit the road running on plowed, dry streets and sidewalks. It’s also important to know that sweating can actually increase your chances of hypothermia. If you stop running but are sweaty, the dampness adds to the outside air temperature to make you feel even colder. Frostbite and its milder cousin, Frostnip, both occur when exposed to cold temperatures. The danger is less about the actual temperature and more about other conditions like the amount of time exposed, wind, and wetness. To avoid these uncomfortable and damaging conditions, wear layers when heading outside, cover extremities like ears and fingers, and if any part of you becomes wet, head inside and remove that article of clothing immediately. We hope you enjoy the cold-weather sports of Wisconsin in safety. If you do experience an injury or have questions, contact Klasinski Clinic.